South Africa’s Mossel Bay is home to beaches that beckon those looking to relax while the Cape St. Blaize Lighthouse invites the architecturally curious. In Port Victoria, the sunny beaches of the Seychelles and a colorful covered market will welcome you. Phuket is where you’ll find the Wat Chalong temple and iconic Big Buddha that sits atop a local mountain that also offers panoramic views of the island paradise. The liveliness of Kuala Lumpur can be found in the Bukit Bintang district or descend into the temples hidden within the Batu Caves. CAPE TOWN, SOUTH AFRICA – Cape Town is both the legislative capital of South Africa and one of its most vibrant cities. Make your way to the top of Table Mountain for panoramic views of the surrounding city and harbour. 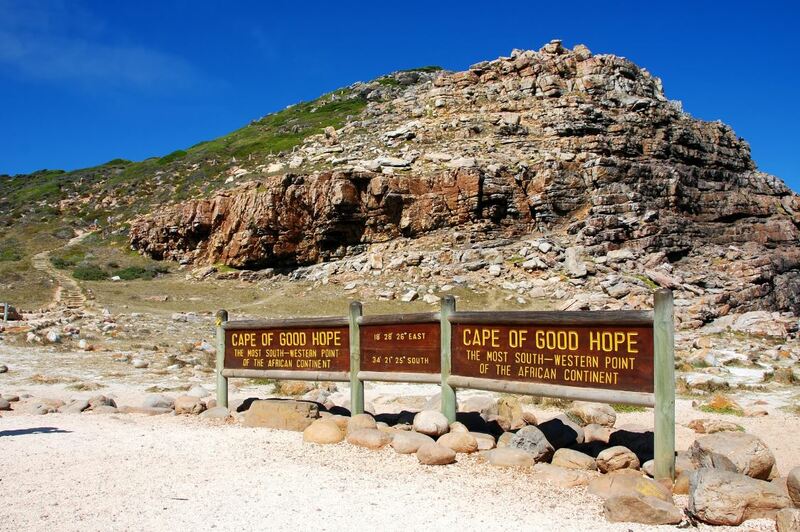 Visit Robben Island to see the former site of the notorious former prison that held Nelson Mandela. Explore the manicured lawns and forest in Kirstenbosch National Botanical Gardens or stop by the V&A Waterfront for some shopping and entertainment. PORT LOUIS, MAURITIUS – Lose yourself in the Mauritian capital of Port Louis. Named after a former French emperor, this port city was a major point of passage for ships sailing around the Cape of Good Hope. Visit the famous Champs de Mars race track. Learn about the local history and culture at the Blue Penny Museum. Walk through the gorgeous foliage in Les Jardins De La Compagnie. Then stroll along the Caudan Waterfront to check out the shops, and famous Chinese Pagoda. MALE, MALDIVES – Male, the capital of the island nation of Maldives, is known for its colourful buildings and being one of the most densely populated cities in the world. Visit the Malé Friday Mosque, built in 1658, to experience its ornate architecture. Scuba dive among the many atolls that surround the capital. Stop at the many restaurants and shops along Majeedhee Magu. The harbour houses a fish and produce market where visitors can taste the daily catch or the local fruit. PHUKET, THAILAND – Experience the many facets of Phuket, from its gorgeous beaches, to its 19th century Chinese and Western architecture and stunning Buddhist temples. Wat Chalong with its lovely pagoda, and Wat Phra Thong, revered for its huge golden Buddha statue, are must-sees. Explore the breathtaking Phang Nga National Park, made famous by the James Bond film The Man with the Golden Gun. If it is shopping you seek, bright silks, teak carvings and trinkets will satisfy many a shopping list. LANGKAWI, MALAYSIA – Langkawi’s appeal extends from sea level to its hilly interior. Kilim Karst Geoforest Park with its boat tour of mangrove forests, bat caves and floating restaurants, is a leading attraction. Adrenaline seekers can take a walk 2,300 feet above sea level on the Langkawi Sky Bridge and enjoy the amazing view of the surrounding rain forests and nearby islands. If sea level is more your level, relaxing on Cenang Beach or some duty-free shopping in Kuah Town may be just your thing. PENANG, MALAYSIA – Known as “The Pearl of the Orient,” this island’s rainforest and waterfall-clad mountains form the backdrop to its beautiful, sandy beaches. The capital’s George Town Historic District, a wonderful mix of elaborate colonial homes, Chinese heritage buildings and temples, is a UNESCO World Heritage Site. The sprawling Kek Lok Si Temple, with a 100-foot pagoda and gardens, overlooks George Town, and is a great spot for photos. Penang’s abundant street eats will tempt foodies. KUALA LUMPUR (PORT KLANG), MALAYSIA – The diverse capital of Malaysia blends colonial, Islamic and modern architecture, from the soaring Petronas Towers to the beautiful Masjid Jamek, once Kuala Lumpur’s main mosque. Get a bird’s eye view of the city from the open-air observation deck of the Kuala Lumpur Tower, the highest point in the city open to the public. Head to the air-conditioned Central Market to browse its stalls and shops for all kinds of souvenirs, with no bargaining necessary. SINAGPORE – Explore a compact, fascinating city-state that’s truly global. A onetime British trading post, its diverse past is reflected everywhere, from its old Chinese quarter and colourful Hindu temples to its modern skyscrapers and common language, English. Take a short cruise along the Singapore River or a pedicab ride through town, or enjoy the quiet at the National Orchid Garden. BALCONY – Cat. BA $7,895 All above fares are subject to change without notice. 25-Day cruise aboard Norwegian SPIRIT.